After the successful celebration of its third year anniversary last April 1, 2012 at the PICC, Dance Pinoy starts anew as it stages back one of its most in demand dance competitions – Step Off 2012: The Kpop Challenge 2! 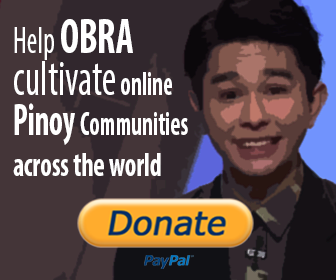 As k-pop is continuously thriving in the Philippines, Dance Pinoy has established significant connections within the community. From just an event theme, Dance Pinoy now expands its hallyu-related associations to an independent k-pop/Korean culture production arm, DPK (Dance Pinoy K-pop) Entertainment. To debut on stage during this competition is the Mystical Five Girls (M5G), a new all-original local k-pop/pop/p-pop girl group to be managed by DPK. Together with the debut is the re-launch of our website now on its new address: www.dancepinoy.com.ph. Also, a contest criterion is added to heat things up on stage! 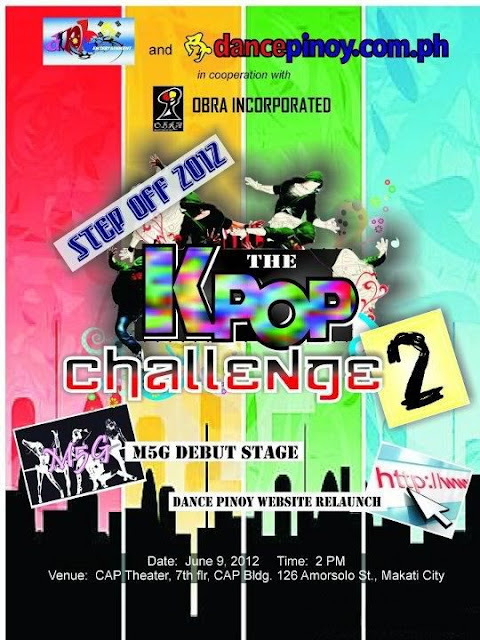 Step off 2012: The K-pop Challenge 2 will be held on June 9, 2011 at the Makati CAP Auditorium. It is open to all k-pop cover dance groups. Dancers will have to dance and dress up like the original k-pop group they chose to represent. The music to be danced to shall be strictly k-pop songs only. Groups will be judged according to their routine as well as their cosplay get-up. Apart from that, booths with different k-pop merchandise of rare finds will be put up around the venue. Dancepinoy.com.ph merchandise will also be available. What are you waiting for? Don’t be contented with just being merely a cover group. Take up the K-pop Challenge and get ready to Step Off…AGAIN! For inquiries, e-mail us at dancepinoymagazine@gmail.com or text at +63915-5473743 or +63918-5123600.